Praise for "Four of the Three Musketeers"
Fascinating… In Four of the Three Musketeers Robert S. Bader shows that Groucho, Chico, Harpo and Zeppo had nothing on Minnie Marx – the booster, nag and agent who set them in their way to fame. A new benchmark in Marx scholarship. One of the finest books of the year. I have seldom read anything as well researched and assembled as Four Of The Three Musketeers. The information is incredibly detailed but not to the point where it became an effort to read. I couldn't wait to see what was coming next. So many hilarious moments. So much I never knew. I wish I had been able to meet Minnie and Frenchy. 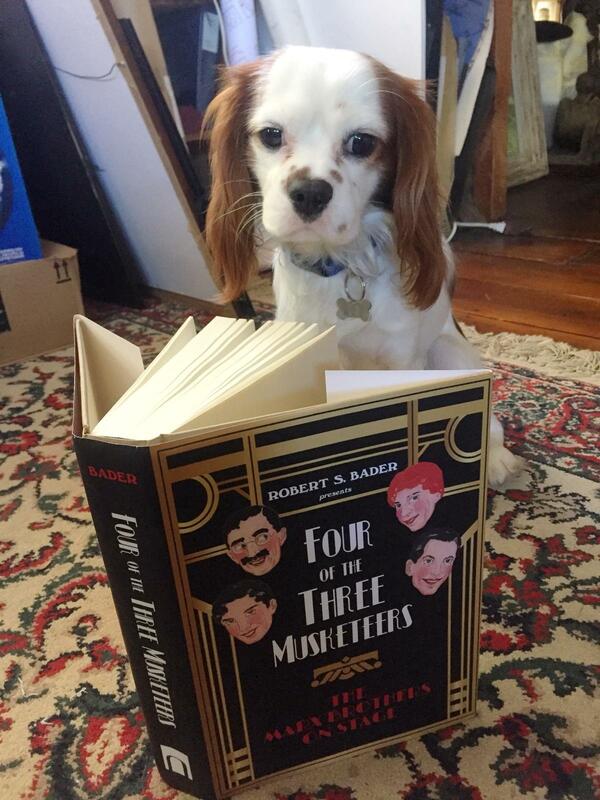 A book that no devoted Marx Brothers fan should be without… Four of the Three Musketeers is a fascinating, indispensable book that details the evolution of one of the greatest comedy teams as they went through a long, bumpy trial by fire. Who would have dreamed that there could be much, much more to learn in still another book about the Marx Brothers? Not I. And yet, Robert Bader -- focusing on the under-researched vaudeville days of the hilarious siblings -- has gone where no man went before, discovering a treasure trove of Marxiana to delight the hearts and minds of those of us who can never get enough. It seems that all that has gone before in books about this "Fab Four" was, in many ways, only the iceberg’s proverbial tip. Bader’s excavations produced previously unearthed nuggets of information. And by the carload, filling in huge gaps in the complex history of "the boys;” a real work of scholarship. His research -- with intrepid, Sherlock Holmesian thoroughness -- led him not only to the major libraries but, importantly, to those in such out-of-the-way places as obscure little towns in Iowa, some of them old enough to still have 'PVBLIC (sic) LIBRARY chiseled in the stone, and in whose dusty archives, microfiche was still the latest invention. Some will be shocked. Others titillated. There’s delicious new material here, much of it inadequately characterized by that old-fashioned term “spicy”. The brothers were lusty young men and romantic and sexual indiscretions – including unwanted pregnancy – abound. Some required desperate ruses and even close-shave escapes. At least one episode forced the mortally threatened, gambling-debt-riddled Chico to abruptly skip town for self-preservation. At those times calling for his sudden withdrawal, the other brothers cleverly managed to carry on the act with ingenious adjustments and even quick-change “doubling” in the parts played by the missing and untamable Chico. There are enough dangerous and dramatic escapades here for a mini-series -- or at least a colorful special. But don’t let me be a spoiler. You might wish to delight a beloved Marx addict with this rich and colorful book. Gratitude and hours of pleasure will ensue. Robert Bader's book is a brilliant and meticulously researched time capsule. I'm sure all five of the Marx Brothers would unquestionably concur in tandem that this most valuable historical documentation of their early days in show business should be, at least, punishable by a Pulitzer. I have read virtually every book ever published about the Marx Brothers. I have even written about them myself. Robert Bader's book is a revelation. CLICK HERE TO BUY BOOKS AND DVDS!